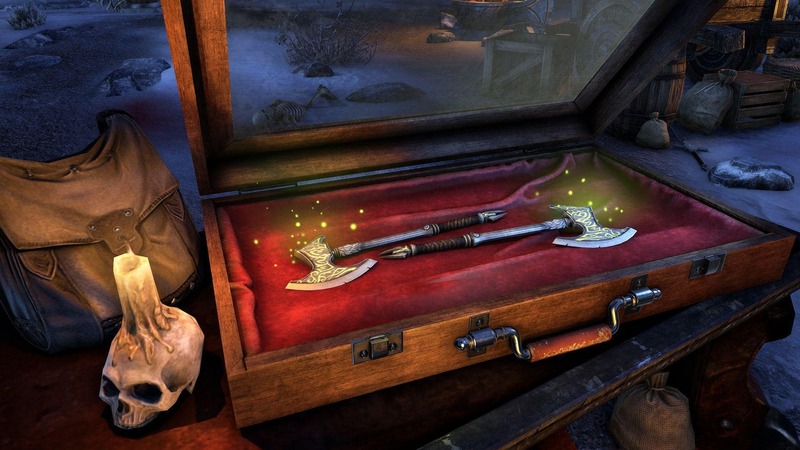 Don’t forget, in addition to the new items below, you can always check out what is currently on sale on the Crown Store page, and you pick up crowns on our Buy Crowns page. If you are an ESO Plus member, starting November 13, you’ll begin to gain access to a selection of exclusive deals and items. 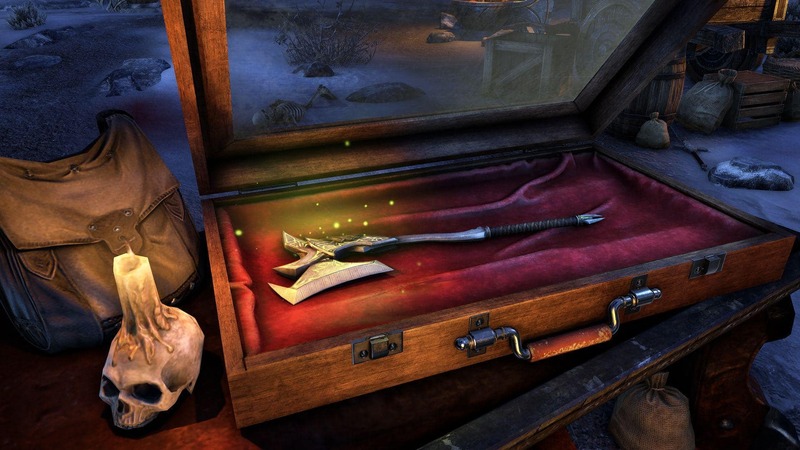 You can find more information about the changes coming to ESO Plus in this article, but you can also preview the ESO Plus-exclusive items below! A tabletop-sized statue of the Daedric Prince Molag Bal, Lord of Brutality. 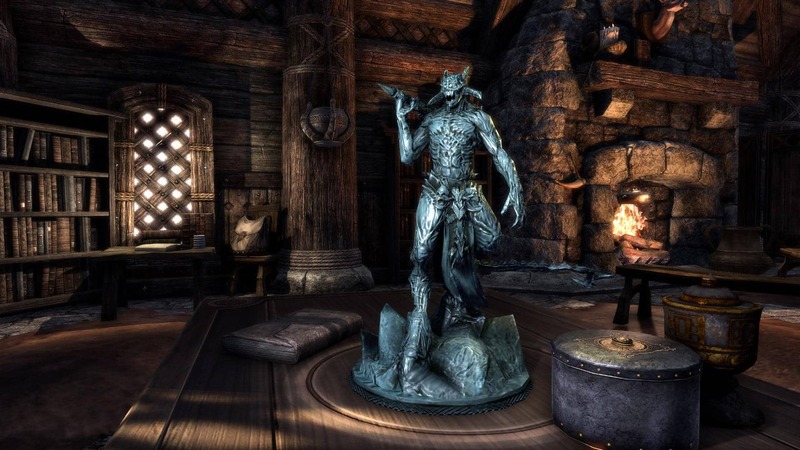 The Molag Bal Statuette will be available in the Crown Store as an exclusive ESO Plus Deal. It will be available for FREE to ESO Plus Members on all platforms for a limited time, from November 13 to December 6 at 10am EST. 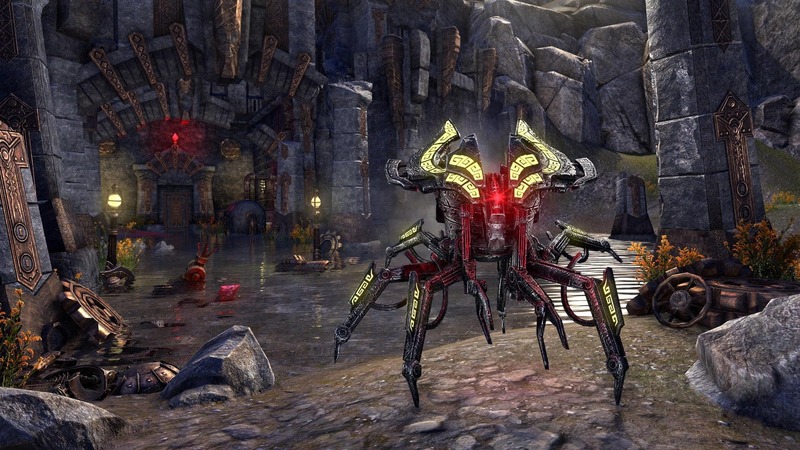 The Ebon Steel Dwarven Spider mount will first be available in the Crown Store in November as an exclusive ESO Plus Deal, then later to all players in December. It will be available to ESO Plus Members on all platforms – and at a discount – for a limited time, from November 13 to November 19 at 10am EST. 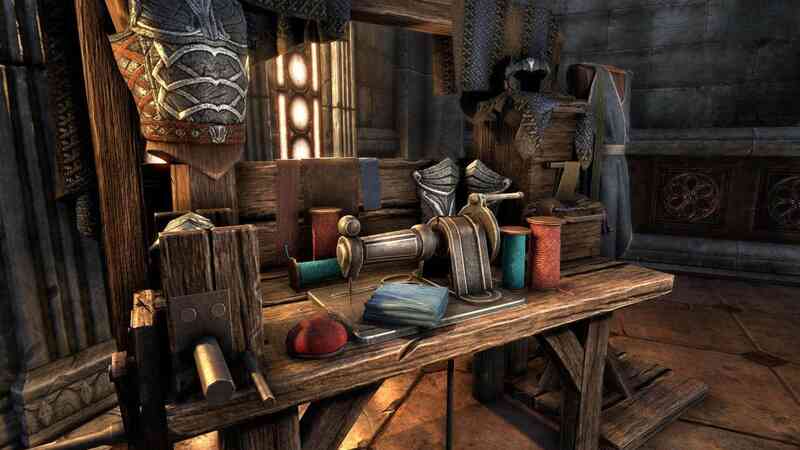 This bundle includes both the Nibenese Noble’s Shawled Robe and the Nibenese Laurel Coronet. 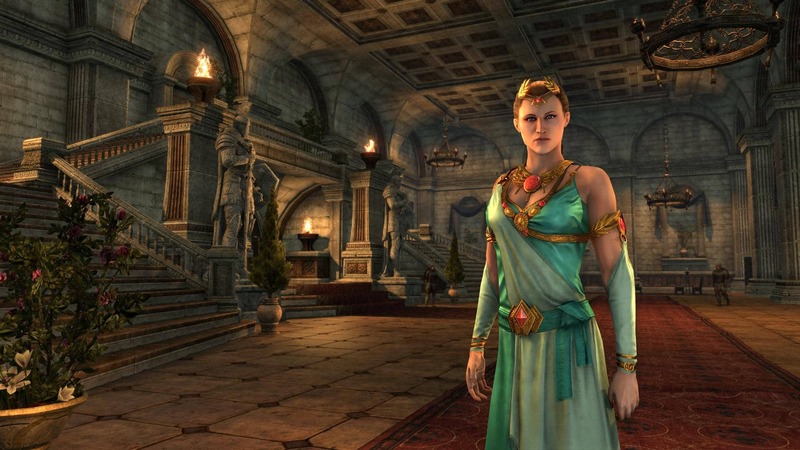 The robe was designed by Diocletia of Skingrad as both active wear and an elegant evening gown, while the coronet is just the thing for looking down your noble nose at lesser mortals! 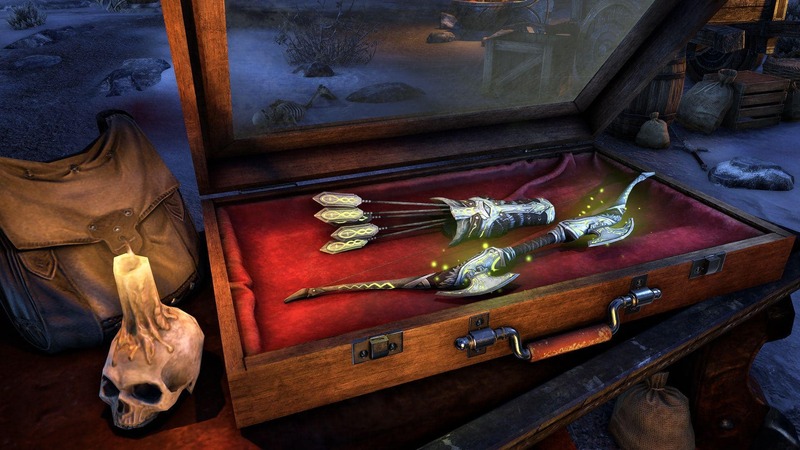 The Nibenese Noble Pack will first be available in the Crown Store in November as an exclusive ESO Plus Deal, then later to all players in January. It will be available to ESO Plus Members on all platforms – and at a discount – for a limited time, from November 29 to December 3 at 10am EST. 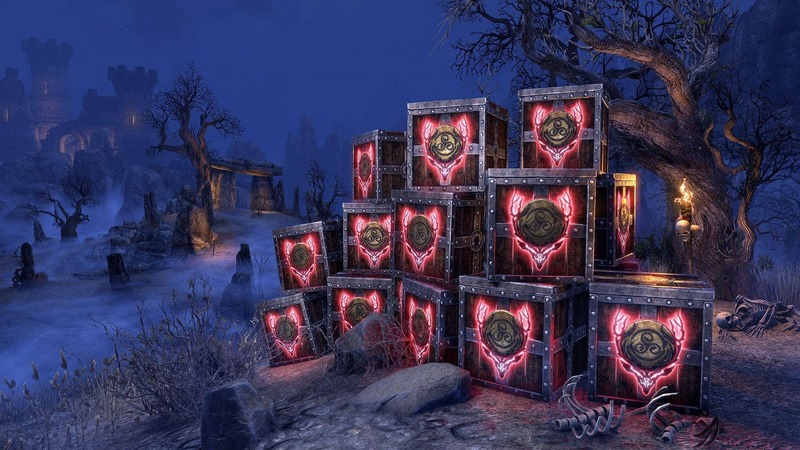 The 15-Crate Hollowjack Crown Crate Bundle will be 30% off for all ESO Plus Members as part of our Black Fredas offers, available in the Crown Store as an exclusive ESO Plus Deal. It will be available to ESO Plus Members on all platforms for a limited time, from November 21 to November 27 at 10am EST. 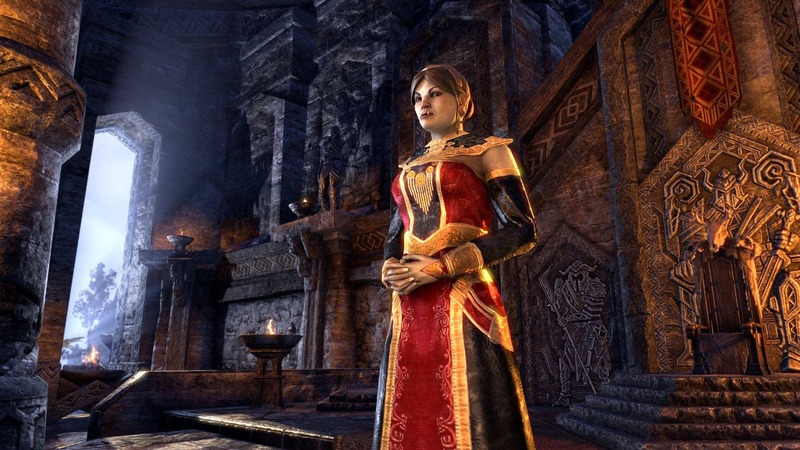 Keep an eye out for full details on this year’s ESO Black Fredas offers later this month! Bundle including three Flatbrim Hats: the Modest Mourning Hat, Deluxe Mourning Hat, and Plumed Mourning Hat. It’s important to honor the deceased on the days of remembrance for the dead, but that doesn’t mean the living have to look dull and dowdy! 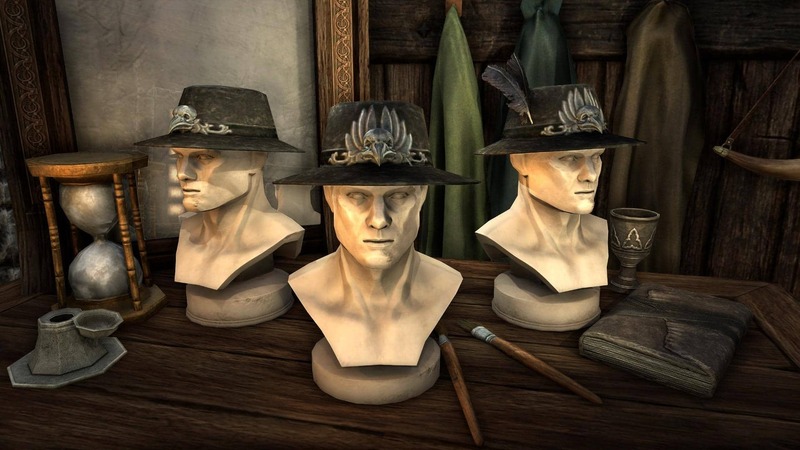 The Flatbrim Mourning Hat Pack will be available in the Crown Store on all platforms for a limited time, from November 1 to November 5 at 10am EST. This face marking bundle includes the Verdant, Floral, and Spoked Skull Face Tattoos, markings for those who wish to honor the dead on a day of special remembrance—or just want to look coolly intimidating. 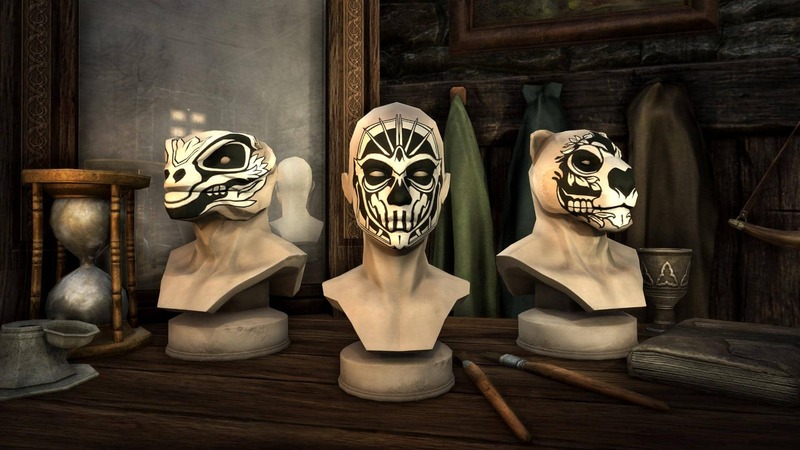 The Skull Face Tattoo Pack will be available in the Crown Store on all platforms for a limited time, from November 1 to November 5 at 10am EST. "As the Wise Woman of your clan, or the Hunt-Wife on ceremonial days, you must project both grace and authority," says designer Borzighu the Tidy. "Count on my gilt-broidered vestment to provide that, and more!" The Orc Wise Woman’s Vestment will be available in the Crown Store on all platforms for a limited time, from November 8 to November 12 at 10am EST. 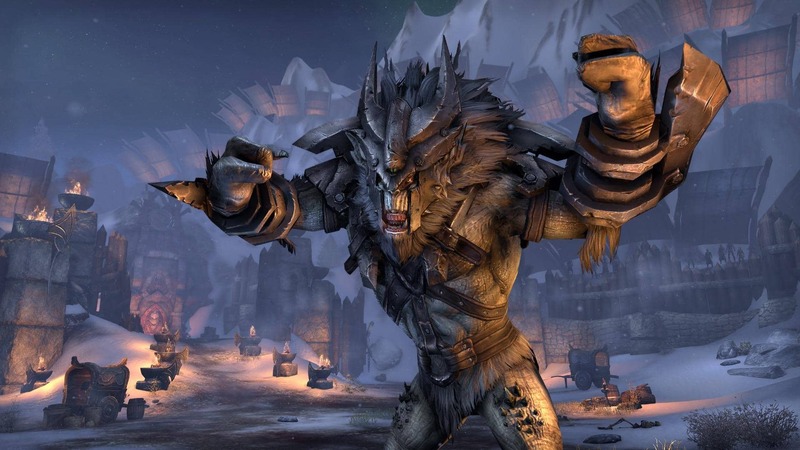 This includes a complete set of Outfit styles for Troll King weapons that match the Undaunted awards. The Troll King Arms Pack will be available on all platforms for a limited time from November 28 to December 19 at 10am EST. During the same time period, the Troll King Mask Style Page will have a chance to drop from the final boss in the Veteran Blessed Crucible dungeon, and the Troll King Shoulder Style Page will have a chance to drop from Glirion the Redbeard’s Undaunted Chest. See this article for full details on the Monster Outfit Styles. Get small to go large: this miniature Snow Globe Home is tiny on the outside but expansive on the inside, proving shrunken real estate is a big bargain! And to make the house interior cozier, its exterior courtyard features an eternally-festive gentle snowfall. Magical! 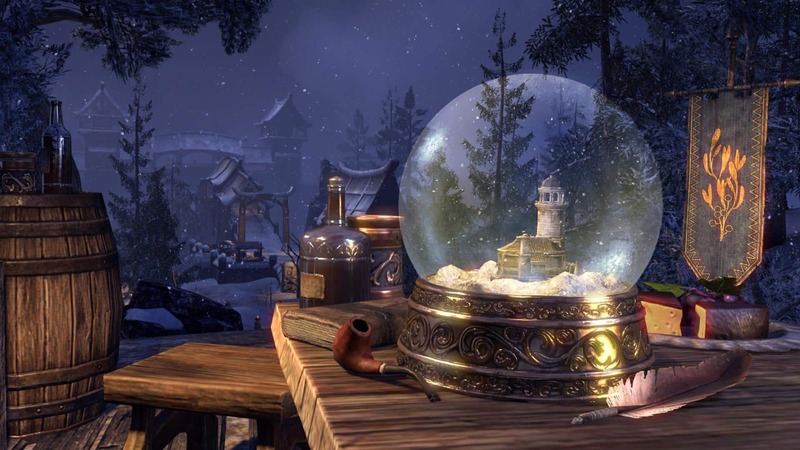 The Enchanted Snow Globe Home will be available in the Crown Store on all platforms for a limited time, from November 29 to January 2 at 10am EST. 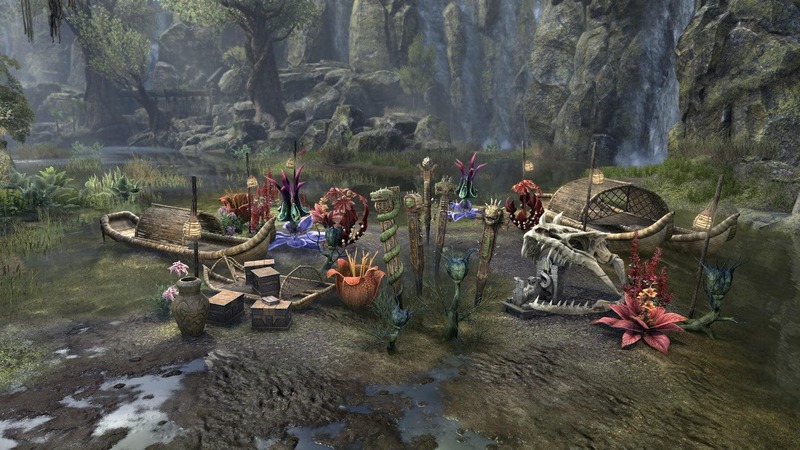 The strange heart of Murkmire holds forgotten ruins, curious plants, bizarre creatures, and no end of peril. A safe return from such an expedition is sure to benefit the research of any scholar—or the gallery of any courageous adventurer. The Deepmire Expedition Furnishing Pack will be available in the Crown Store on all platforms for a limited time, from November 8 to November 19 at 10am EST. 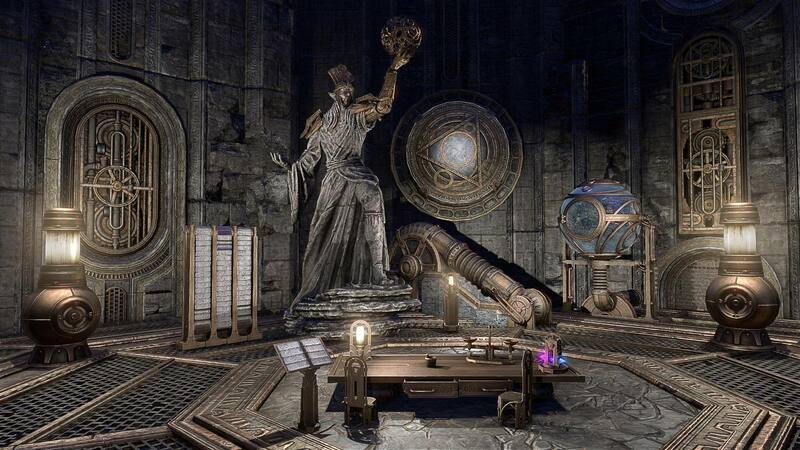 A wide selection of furnishings from Sotha Sil's mechanical simulacrum of Tamriel, the Clockwork City, including an Inactive Fabrication Sphere, a Grand Mnemograph, and a Powered Capsule Clockwork Illuminator! The Clockwork God's Domain Furnishing Pack will be available in the Crown Store on all platforms for a limited time, from November 15 to November 26 at 10am EST. Welcome your friends with these essential New Life decorations, complete with ice sculptures, Bounteous Ladles for the younger guests, a hearth for roasting festive feasts, and even a trio of Snowmortals! The New Life Festival Furnishing Bundle will be available in the Crown Store on all platforms for a limited time, from November 29 to January 2 at 10am EST. The Badger Bears of southern Blackwood were nearly extinct in the wild when they were saved by the intervention from an unlikely source, an Imperial noble, when Viscount Glorion of Leyawiin rescued the species by breeding them as mounts. 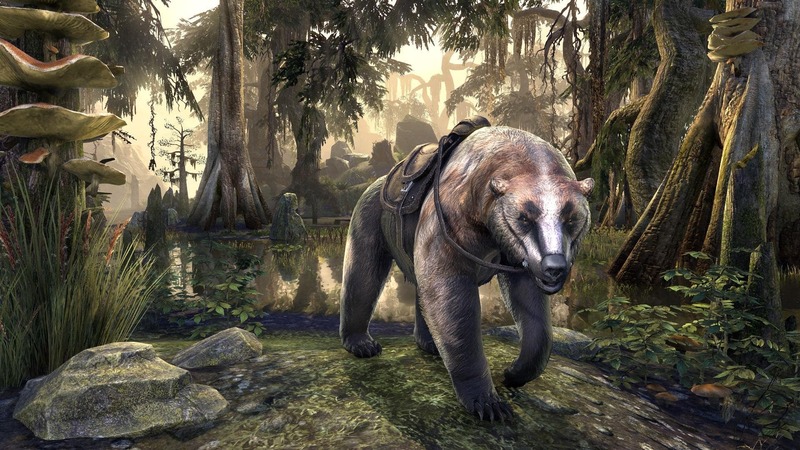 The Badger Bear mount will be available in the Crown Store on all platforms for a limited time, from November 1 to November 5 at 10am EST. Less common than the usual variety, the Pale-Plume Gryphons are found only along the seacoast cliffs near the Tower of Dusk in southeast Summerset. Their Fledglings make engaging pets that can be trained to follow their masters even into danger. 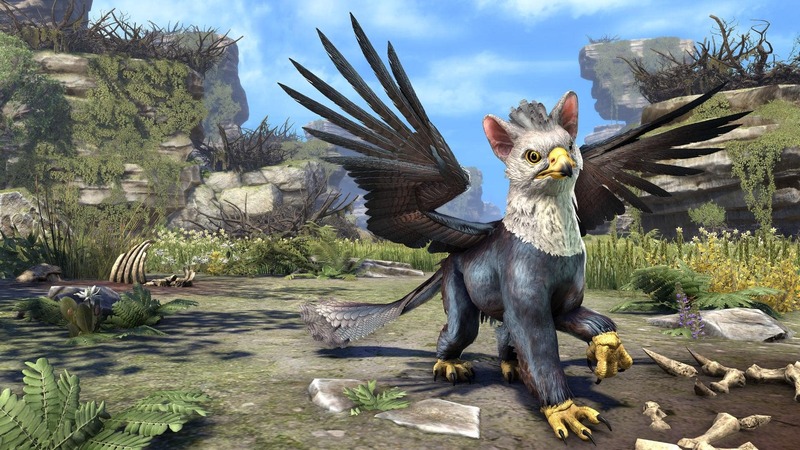 The Pale-Plume Fledgling Gryphon pet will be available in the Crown Store on all platforms for a limited time, from November 8 to November 12 at 10am EST. 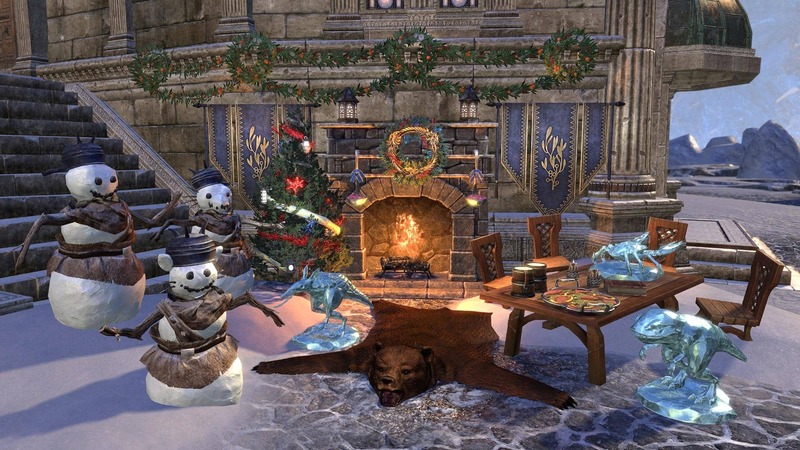 The holiday season is upon us, and whether you’re looking to give your home a festive touch or make sure your character is dressed for every occasion, there’s bound to be something coming to the Crown Store in November for you! 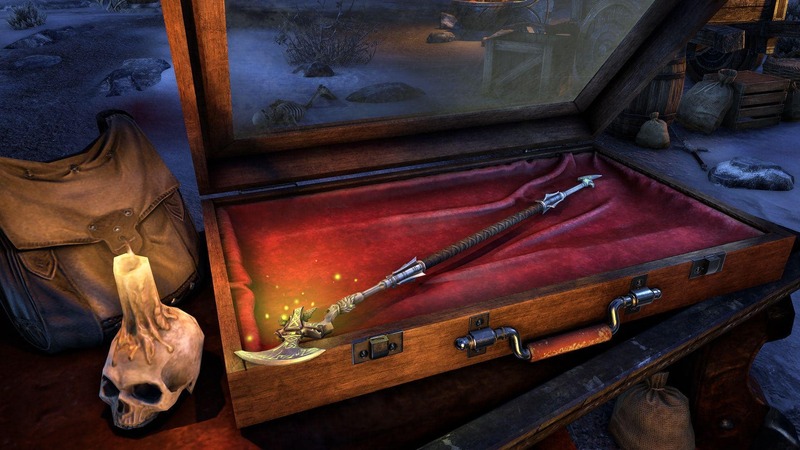 You can acquire crowns right now via the Buy Crowns page, and you can view the items currently available on our Crown Store page. 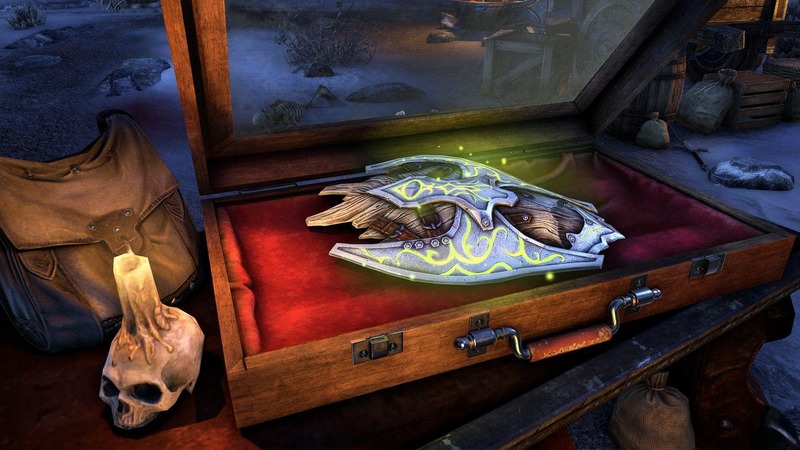 Do you have your eye on any of the colorful and unique items coming to the Crown Store this month? Let us know on Twitter @TESOnline and Facebook!